Good Tuesday, folks. We have an absolutely loaded weather pattern taking shape over the next few weeks and it all gets started on Wednesday. 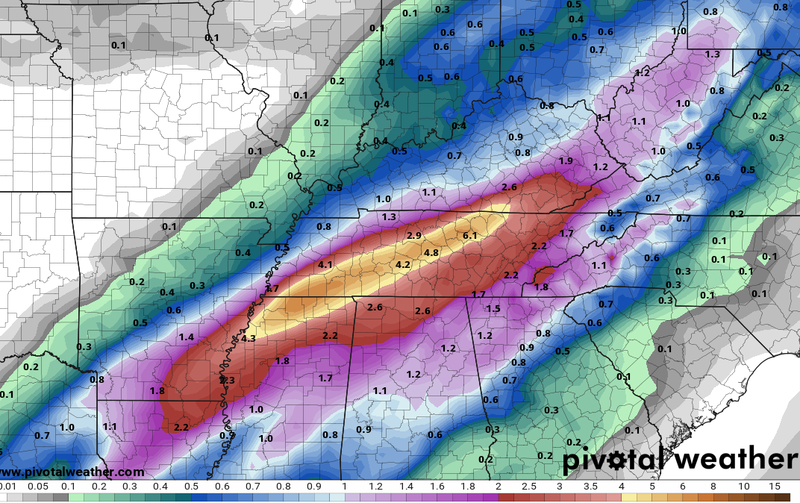 That’s when the first of 3 major systems impacts our region. 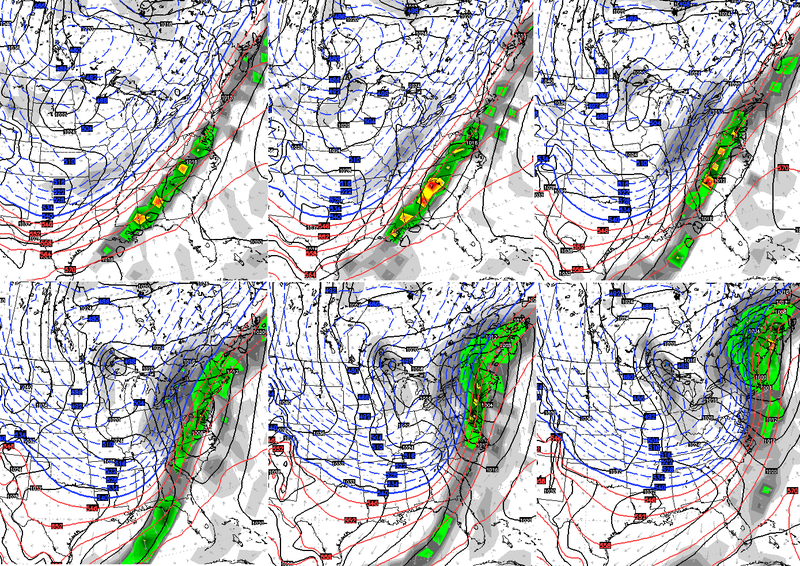 After that, we will bookend our long Christmas weekend with impressive systems. One is super wet and the other is looking white. 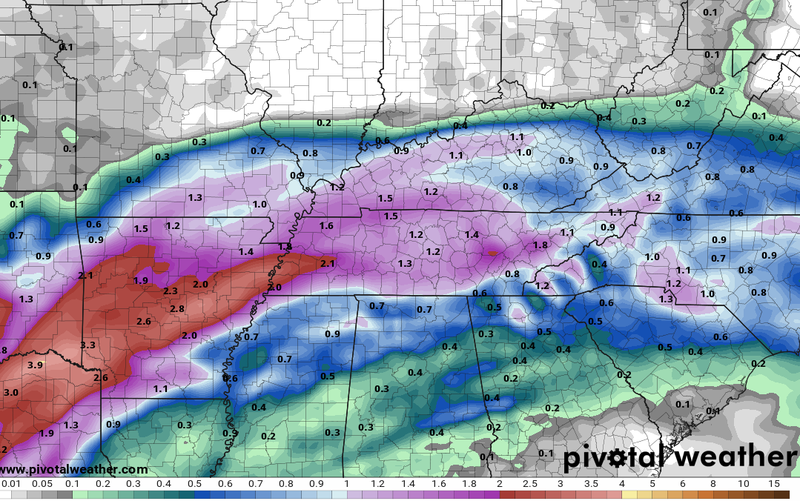 Before we get to the weekend setup, let’s talk about the first system rolling in late tonight and Wednesday. The models continue to waffle just a bit on how far north the rain gets, and the potential for a touch of snow or a mix for some. Maybe some flakes will fly, but I’m not too excited about that. The powerful cold front moving in on Friday is a different story. This front will have a strong wave of low pressure along it, bringing some wild weather into Friday night and early Saturday. As I mentioned several days ago, temps ahead of this can hit 60 on a STRONG southwesterly wind. 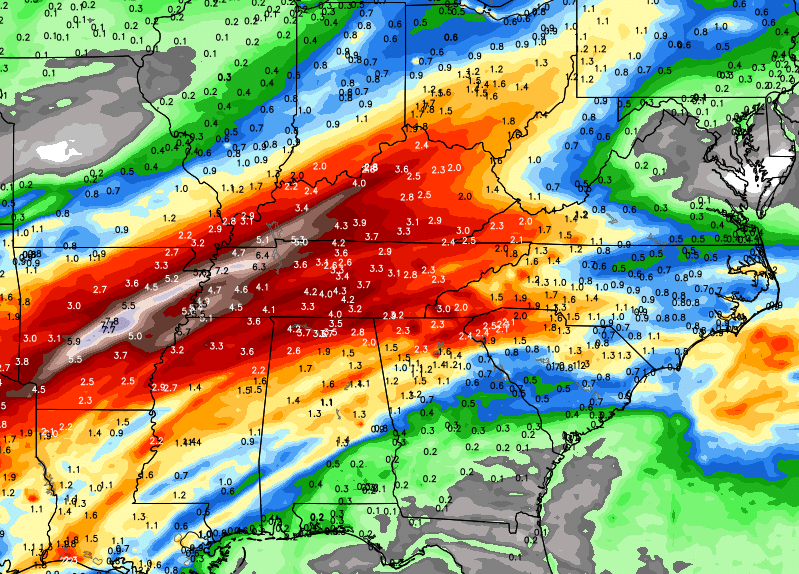 Heavy rain is likely along and ahead of the front, and I’m increasingly concerned about the flood potential to start the weekend. Now you can see my high water concerns. The front moves through on Saturday, with the possibility of a switch to a mix or some light snow as temps drop 30 degrees from Friday. The front then stalls out just to our east into Christmas Eve, with waves of low pressure to develop along the boundary. 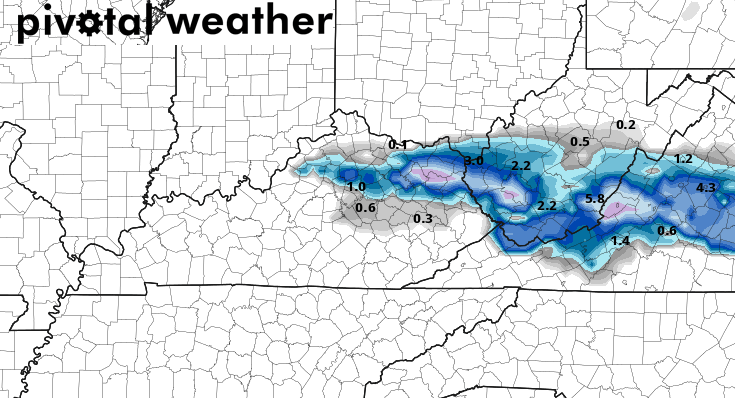 The models are still struggling on how to handle this, but will likely trend stronger with the action as we get closer. Now that the Friday system is trending wetter and deeper, it may very well be giving us a clue as to how the next system behaves. That’s a lot of true arctic air coming into the country and into our region Christmas Day and beyond. 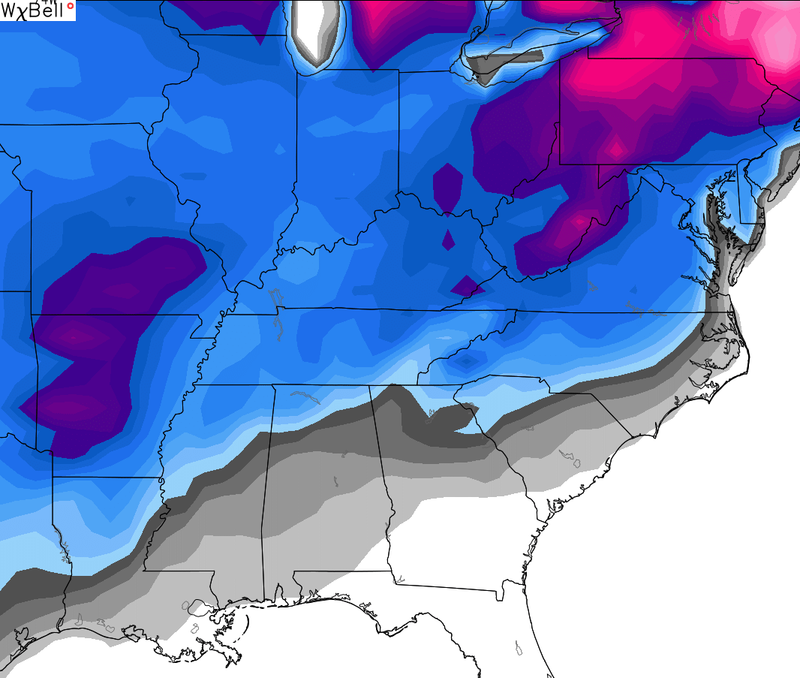 We are likely to try and spawn another winter weather system a few days after Christmas. I warned you this was going to be an action packed pattern and it’s certainly looking the part. From the potential of flooding, to Christmas snow, to arctic cold, to additional snow threats… There is no rest for me in the near future. Speaking of updates… They will be coming your way later today. Have a great Tuesday and take care. Oh trust us, we appreciate it. I check religiously 3 times per day. Chris…I too, look soooo forward to your updates throughout each day! You’re the BEST!!! BTW…I really think some of the supposed “major” weather networks are threatened by how good your forecasting is. Don’t stop what you’re doing!!!! We absolutely do Chris! I check this page several times a day and twitter even more often for your updates. You da’ man! I do appreciate your updates and posts I’m in NE Ky but still read what you are telling us. As you know we are Huntington stations, but I will be nice. Thanks again and Merry Christmas. Thanks for the time and effort. Thank you Chris, for all your hard work and for keeping us aware of the weather we can expect. Have a Merry Christmas! Thanks Chris. Been checking in every since you left Huntington and went back to Lexington. Very and I mean very much appreciated. You are a master at your craft. Ode to be CB in the winter in Kentucky at Christmas! That should be a song! Thanks Weather dude!!!! Thank you so very much for your diligence and expertise in keeping us updated on the weather. You are our “go to guy” when it comes to weather prediction. You are APPRECIATED!!!! First thing I do every morning is check your website. Thank you!! Thanks Chris. Always look forward to reading your updates. Yep he took it down. It should still be up. Chris, You are very much appreciated, been following for the past ten years and the KWC is the first thing I look at every morning, except the ceiling when I wake up:). 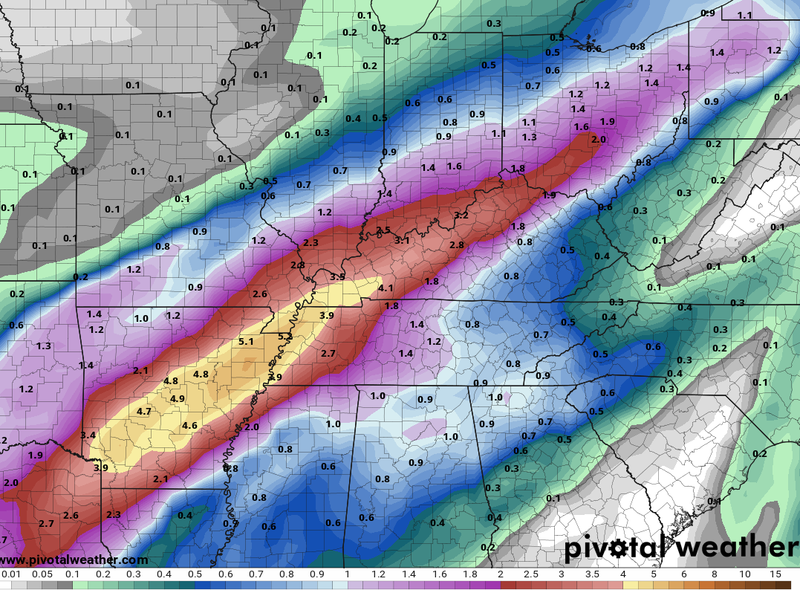 Love your in depth look at the weather and how you keep us informed weeks in advance and your list of followers reach all across the state and beyond, not just the Lex area. Thanks for all you do and can’t wait to track the upcoming winter weather possibilities. Thanks again from Brad in Louisville. Your time, knowledge, and efforts are greatly appreciated! I enjoy checking your site and do so three times a day. I’m in western Kentucky, and no one in this area gives such a detailed report as you! Thank you! Thank you Chris, and yes all your meteorology information is very, very much appreciated. You should received a meteorology award for all the extra hard work. 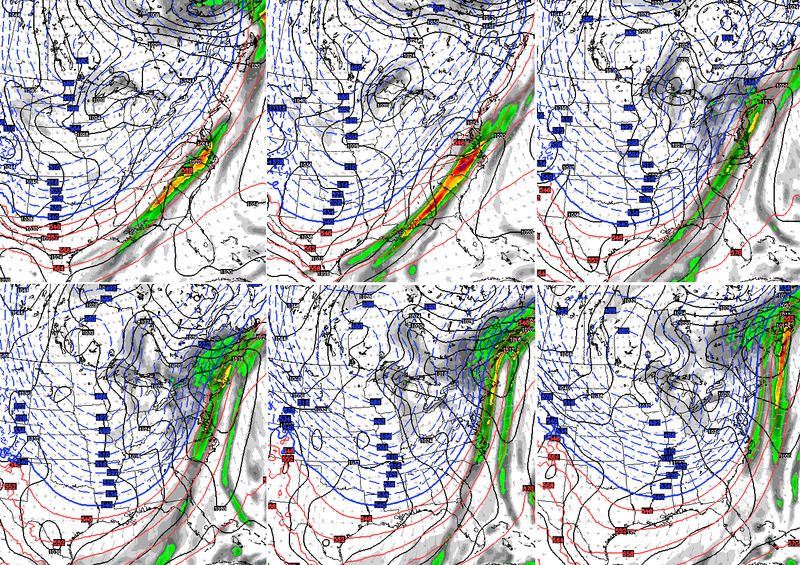 I just wish that all these weather models would agree on what our weather will be on Christmas Eve and Christmas Day. Thanks Chris. I look at your blog first thing in the morning and rest of the day. Even know I live far at Western, ky you are the best what you do daily. Thank you from southern Ohio…….even though you aren’t in our “region” anymore, I still follow your blog religiously! Merry Christmas Chris!! I am from southern Ohio as well. I look forward to each of your updates. No one does weather like you do. Thank you from Knoxville, Tennessee. 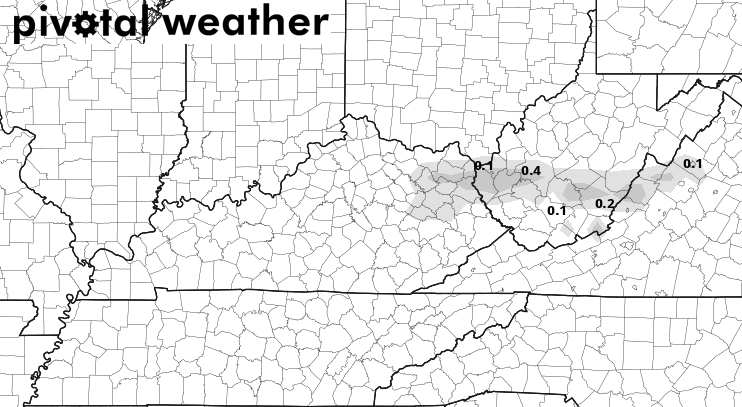 I have family living in eastern Kentucky and rely on your forecasts when traveling for visits, especially this time of year. Keep up the good work. I check your site as soon as I get up, around lunch, and then about 7:00 each night! I really appreciate your time and effort and have directed my friends here, in Franklin KY to check too! You always have the REAL forecasts! THANK YOU!!! Thank you for hard work Chris. I live in Southern Indiana but follow your blog each day. You are the best. Absolutely appreciate your efforts to keep people informed! I feel like most others just watch the weather channel and repeat what they said! Want to say thanks Chris for all of your hard work and dedication. .we get all the info and more here everyday. Much more than any place else! Thank you from Western Ky. . It’s the first thing I look at also. To my family I call you “my little weather man”. I’m always relaying your forecast. Thank you for your hard work, Chris. You are the GO TO guy for weather . We really appreciate it!! Yes I say thank you and I check this page at least 2 times a day. I am especially interested in this weather pattern this weekend since I will be traveling to my home down on Lake Cumberland to spend a country Christmas with my family there. I will check it again on Sunday and Monday and even put some pressure on my son who work for WYMT TV in Hazard to call his weather people LOL. You need a lesson in appreciation. No Ralph, I am not an idiot and neither are you or anyone else. Every person is different and have a right to his or hers opinion. Merry Christmas to you and your family. Thanks Chris for your dedication to a craft that, even with tons of technology, still relies on the human “analog” computer and gut to get predict these storms. I just wonder, how much sleep you really get? Cheers! Allen, the man deserves a patting in the back regardless. He’s a master what he does. Lots of us who live in Cabell, Mason and Putnam counties of WV read your blog everyday…several times a day! Thanks for the updates! We do appreciate you! Just reading everybody’s post. I notice you have followers from north south east and west and all counties in between. Even the surrounding states read your blog. I feel like they are a lot of people appreciate you. Thank you for your hard work . Thanks for all you do CB! I’ve been reading the blog for years. You are a master at what you do! We know that you put a lot of time and effort into this blog, and it’s always very informative. Merry Christmas! Good thing the cold air is not meeting up with Friday’s low. Seems the warm and cold air mix would be primed for freezing rain and mix (as the maps showed a few days ago). No power during the Holidays would be a big let down for family travel, electronic gifts and cooking Christmas dinner. I enjoy checking your updates 3 times a day at 5am when I get up for work,lunch break and when I get back from the gym in the evening. I’m from Cincinnati and really enjoy all the information you share on this blog. I’ve been following for a 3 years now. Keep up the great work. You rock Chris! Have been checking in from Georgetown daily. Have parents in NE Ohio, they even ask what do the maps show on Chris’s website. For this weekend the local mets up there are saying nothing, even though they have been in the snow area of Chris’s area of concern for days. Now all of a sudden, the locals there are stating snow for Christmas Eve. Thank you so much for all of the effort and help you put into your forecasts. They are always so helpful and informative. You make weather fun! Thank you Mr. Bailey! I have been following your blog for about 4-5 years since I was in middle school. You know you have a good blog when people, not in your viewing area still faithfully follow your blog. Best informational and educational blog I have found on the internet. ….. Thanks Chris. Have family traveling from the Ashland area to Lexington area Saturday morning for an afternoon family Christmas gathering. Any idea when things may begin to get dicey on Saturday? I agree with the many other folks…I have been reading your blog for several years and this time of year check it multiple times a day. I appreciate that you share what models show, as well as pulling together a nice set of radars that make it a one-site stop for information. I also agree with some of the others – you have been showing a system for a while at Christmas, other stations are still showing sunshine for Christmas Eve/Day, should be interesting when they catch up (has happened multiple times before when they are 5-8 days out). Thanks for all you do for those of us interested in our daily weather. Like many others on here I check in at least 3 times a day. Your forecast helps me plan my work clothes for the week. I appreciate your hard work and excellence in forecasting. Merry Christmas!